Angola, officially the Republic of Angola, is a west-coast country of south-central Africa. It is the seventh-largest country in Africa, bordered by Namibia to the south, the Democratic Republic of the Congo to the north, Zambia to the east, and the Atlantic Ocean to the west. Angola has a population of approximately 25 million, is a Unitary, dominant party, constitutional republic, and gained independence from Portugal in 1975. Angola has one official language – Portuguese. Other widely-spoken indigenous languages include Umbundu, Kimbundu, and Kikongo, in that order. A 2014 census, carried out by the Instituto Nacional de Estatística, mentioned that around 70% of Angolans use Portuguese as either a first or second language. Time is flexible in Angola. People don’t always arrive on time for meetings, as part of the culture. Belonging to the same family as Brazilian Samba but distinct from that genre, Semba is the predecessor to a variety of music styles originating in Africa. The subject matter of Semba is often a cautionary tale or story regarding day-to-day life and social events and activities, usually sung in a witty rhetoric. Barceló de Carvalho, the Angolan singer popularly known as Bonga, is arguably the most successful Angolan artist to popularize semba music internationally. For some time, a new, more electronic music movement, called kuduro, has blossomed in Angola. It combines traditional Angolan Kilapanga, Semba and Soca with Western house and techno. The main proponent of Kuduro is the international group Buraka Som Sistema although there are a number of artistes working on the national scene and a growing number of bedroom producers. For a taste of Zimbabwean music, listen to Buraka Som Sistema’s Sound of Kuduro, and Bonga’s Kambua. Miradouro da Lua (Viewpoint of the moon), Belas, Luanda, Angola. Kizomba is a partnered social dance, that is quickly gaining worldwide attention, especially in Europe and North America. The kizomba rhythm and movement is derived from an up-beat semba, meaning “a touch of the bellies,” which is a characteristic posture of the dance. Kizomba supports a fairly large number of artists singing in both English and Portuguese. The biggest producer in the Kizomba field is Nelo Paim. Watch an example of Kizomba here. Based on the feast of Our Lady of the Hill, Lubango Festival is a 30-day celebration held in Lubango City in Angola’s Huila Province. Beginning in August, it features music performances, fashion parades, a sports tournament, motorbike racing, and the prestigious Miss Huila beauty pageant. The festival also kicks off the Expo-Huila trade show, along with some workshops and a cattle auction. Also known as Festi-Sumbe, this three-day September celebration is an international festival mainly taking place in Sumbe City in the Kwanza Sul province. Marked by performances, bands, singers and dancers from a wide variety of musical genres, it’s quite the show. Angola Carnival is one of the most colorful and widely celebrated festivals in the country. Beginning on the last Thursday of the Lenten season, it goes until the day before Ash Wednesday and features shows, performances, parades, and dances. 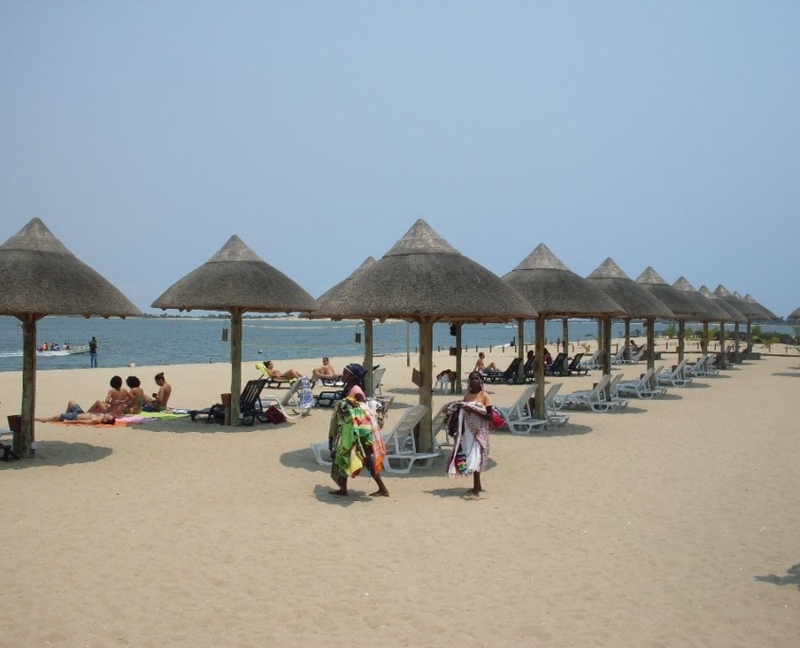 Like the rest of tropical Africa, Angola experiences distinct, alternating rainy and dry seasons. It is semiarid in the South and along the coast to Luanda. There is a short rainy season lasting from February to April. Summers are hot and dry, while winters are mild. The north has a cool, dry season. The far north has the highest annual rainfall. President João Lourenço has served as Angola’s President since September 2017. Previously, he was Minister of Defence from 2014 to 2017. In September 2018 he became the Chairman of the People’s Movement for the Liberation of Angola (MPLA), the ruling party. He was the party’s Secretary-General from 1998 to 2003. Born in Lobito, Angola, the President grew up in a family of ten children. He is married to Ana Afonso Dias Lourenço, a Member of Parliament of the MPLA and former Minister of Planning. Angola’s main industries include petroleum; mining (diamonds, gold, iron ore); food processing; tobacco; and textiles. A large majority of the country’s workforce is employed in the agricultural sector. Angola joined the Organization of the Petroleum Exporting Countries (OPEC) in 2007. The construction industry is taking advantage of the growing economy, with various housing projects stimulated by government initiatives. Eating out is a big pastime and in Luanda, there’s a vibrant restaurant scene, with many Angolan-owned restaurants in downtown. 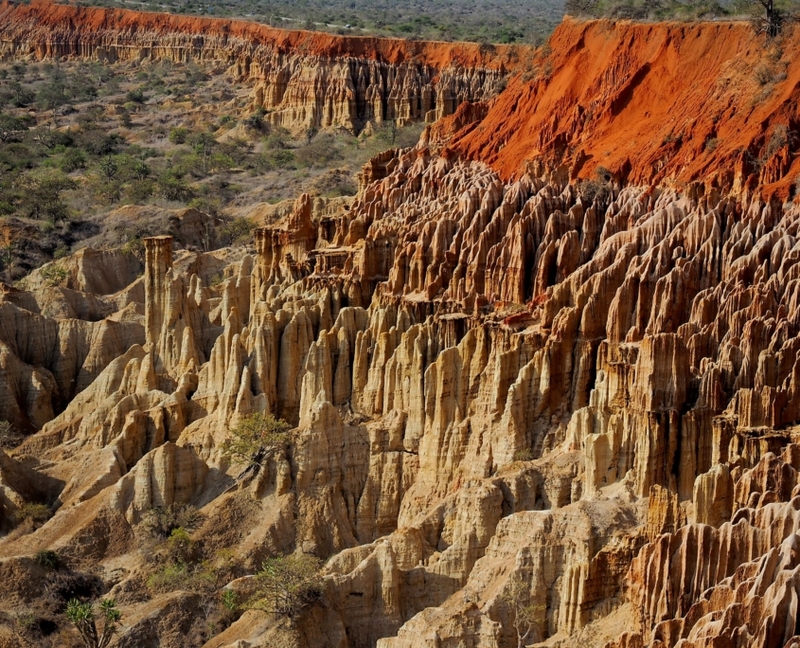 Angola has 1600km of coastline, rainforests in the north, the world’s oldest desert in the south, and hundreds of miles of savannah in between. The coastal cities of Benguela and Lobito have art deco architecture and miles of deserted beaches. There’s surfing in Caba Ledo. In Namibe province, you can sleep under the desert stars. There is much to do outdoors. Going out dancing is also a popular activity. Ilha do Mussulo Beach, Angola. Luandans love their beer. Cuca is the main brand in town (and in the country), but the newer Tigra, developed together with Germany’s Doemens Institute, is taking a bite out of its market. Angola imports more bottled Portuguese wine than the U.S., U.K. or France, and even backyard restaurants (quintais) sell it. Several of Angola’s most popular dishes are stew-based, such as moamba de galinha (chicken cooked in a red palm oil sauce called moamba de dendem) and calulu (similar to moamba but cooked with dried and fresh fish). Staple ingredients include flour, beans and rice, fish, pork and chicken, various sauces, and vegetables such as sweet potato, tomatoes, onions, and okra. Spices such as garlic are also frequently seen. Farofa – rice and beans with toasted manioc flour on top – is a dish of Brazilian origin common in Angola. The Angolan currency is the kwanza (AOA). There is a high level of crime in Luanda. Muggings, particularly to steal mobile phones and other valuables, and armed robberies can occur in any area at any time of the day or night. Areas popular with foreigners are particular targets. Assault is known to be frequent at night, and it is not advisable to travel alone after dark. Avoid wearing jewelry or watches in public places. Don’t change or withdraw large sums of money in busy public areas. When driving, be very wary if another car signals you to pull over. Deposit valuables and cash in a hotel safe where practical. Keep copies of important documents, including your passport, in a separate place from the documents themselves. Bonga (José Adelino Barceló de Carvalho), a popular folk and semba singer and songwriter. In 2016, he published his 31st album, Recados da Fora. Holden Roberto, the founder and leader of the National Liberation Front of Angola. Akwá (Fabrice Alcebiades Maieco), an Angolan former football player who played as a forward for the Angolan national team, representing the country a total of 80 times. Viriato da Cruz, an Angolan poet and politician, considered one of the most important Angolan poets of his time. He wrote poems in Portuguese and Angolan languages. Sources: , , , , . Image sources: Jorge Sá Pinheiro , Creative Lunatics , Lass O’Luanda . Angolan ex-refugees in South Africa who were given a two-year deadline in 2013 to return to their country have been given a chance to apply for residency. This is in terms of a settlement reached last week in a year-long case regarding former Angolan refugees still living in South Africa on expired Angolan Cessation Permits. According to the Legal Resources Centre (LRC)‚ the negotiated settlement allows for former Angolan refugees falling into this category to submit further documents to the Department of Home Affairs in order to attempt to regularise their stay in South Africa and apply for permanent residency. The LRC represented Scalabrini Centre of Cape Town and a number of former Angolan refugees in litigation against the Department of Home Affairs regarding the legal status of former Angolan refugees in South Africa. In 2013‚ Home Affairs decided that former Angolan refugees no longer needed the protection of the South African government‚ as Angola was considered politically stable. 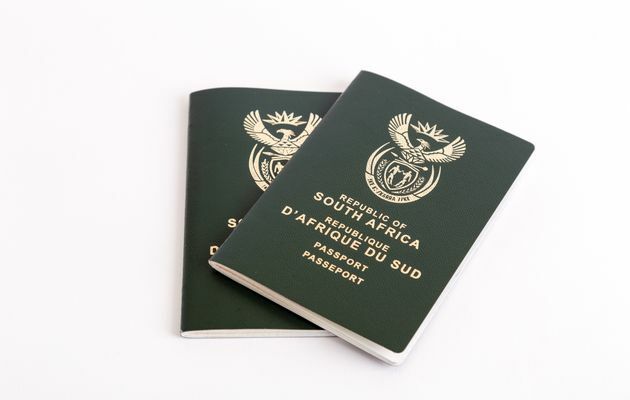 Those Angolans who had been recognised refugees in South Africa were advised to apply for a special type of visa (Angolan Cessation Process Permit) which would allow them to legally work and study in South Africa for another two years‚ while making plans to return to their country. “Many Angolans have lived in South Africa for close to 20 years. They have created lives for themselves and raised their families in South Africa. As the New South Africa was being born and South Africa was on the world stage, Relocation Africa started in 1993 in Johannesburg, South Africa, providing homefinding services to expatriates moving into Johannesburg. In 1997 the Cape Town branch was opened and Immigration services were included into the offering to support the client’s needs and in 1999 the international payment service was incorporated to support international clients needs to transact expatriate’s payments in South Africa. In 2000 the Relocation Africa head-office was consolidated to Cape Town and an internal web-based system was developed to support the needs of the business and facilitate the centralised head office business model. The business decided to register a sister company called Global Expatriate Management (GEM) to take over the payments services as well as starting a payroll solution for clients who had regional offices across Africa but with a centralised payroll head office in South Africa. In 2002 we made the strategic decision to expand relocation services into Africa. The network of consultants being recruited across Africa were able to provide housing data so in 2004 GEM formalised this housing data into a formal housing survey. We now run these biannual surveys across most countries in Africa. In 2005 GEM expanded to collect cost of living data with a network of field workers across Africa. In 2006, due to client demand, we started expanding immigration services into other African countries. Our next key step was formalising a training department within the business in 2008 – prior to that, it had been the responsibility of the account managers to recruit and train consultants. The business has grown organically over the interleading years due to some key staff who always worked above and beyond what was asked of them. 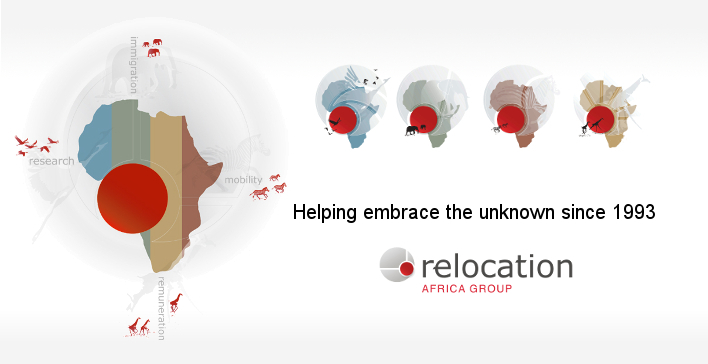 In 2013 Relocation Africa rebranded into the Relocation Africa Group incorporating GEM’s services to formalise the service offering to clients with our four divisions, being Mobility, Immigration, Research and Remuneration. Each division has a colour, icon and animal assigned with it and we use this branding to differentiate our services. Africa is an exciting space to be working and we strive to deliver a consistent quality of service to all clients no matter where the services are delivered in Africa. Being a cog in the machinery facilitating the development of skills across Africa is what drives the management of Relocation Africa to help upskill Africa. In 2016 we discovered an inspiring organisation called Generation of Leaders Discovered or GOLD for short (www.goldpe.org.za). The are based in Cape Town near our head office, and they have an inspiring model which gives hope and skills to Africa’s disenfranchised youth. They identify young opinion leaders in communities and invite them to go through their program, they give them hope, give them skills and enable them to become peer educators and role models within their peer groups. The results of their programs is astonishing. Please email us if you would like to know more about GOLD and what they do. We are currently developing an internship program with GOLD and we are building a relationship with them as what they do fits in with our philosophy of helping to develop skills across Africa. Our vision is to be the preferred supplier in Africa of trusted seamless relocation services to our clients to ensure their assignees become effective employees quickly. Our mission is to remain a reliable and consistent quality managed provider of a comprehensive range of services to companies moving assignees into Africa, by removing the fear of the unknown continent. Insight into the Angola Rental Market – January 2016. Has the demand gone down and is there currently a surplus of available properties and, if so, how has this affected the rental price? For those expats that are in rented accommodation already; when it comes to renewals of leases, is there an opportunity there to negotiate a lower rent before renewing the contract? Clients are expecting the rental costs to go down when the demand is not as high as it once was; is this happening or not? • Introduction of 15% urban property tax (IPU) 2 years ago and consequent enforcement in companies with organized accounting meant landlords tended to put 15% on top of their original asking price. • Recent law to limit advance payments to between 2-6 months. • Recent law that all payment should be made in kwanzas and now only non-residents can quote in dollars in contracts. • Recent banking restrictions locally mean that it is very hard to get dollars out of the bank even if one has deposits. • Large gap between official exchange rate ($1:160) and actual rate at which forex can be bought ($1:300+ at bureau de change). I mention these issues because they have affected what would be a basic drop in prices by muddying the waters somewhat. So although prices have gone down in global terms the asking prices have been affected by these issues and vary greatly. First of all for international clients who can still pay in USD outside the country we can definitely negotiate very good rates as everyone prefers this option. Payment locally in USD now does not hold as much appeal as previously as having the money in your account does not mean you can easily access it. A lot of rentals are still quoted in dollars at the official exchange rate to act as a basic hedge against the devaluing kwanza. Now there is a move to use only kwanzas but the landlords still think in dollars and not knowing where the kwanza will end up they have to take a guess and are mostly using rates somewhere between the official and reality. Still overall rental rates are definitely down and most of our clients are renegotiating their contracts downwards and Sonangol (Sonangol is a parastatal that oversees petroleum and natural gas production in Angola. The company is responsible for the management of oil and gas reserves in Angola) has cut costs as well which means they may not approve higher costs as readily as before. This year they hope to gradually move to only referencing kwanza with no mention of dollars. Right now there is lot of activity as many companies are consolidating accommodations to save on other costs such as security and transport i.e putting all their staff in one building or complex. A lot of clients that are kwanza-rich and are here for the long-term are buying their properties rather than renting because prices are lower, people are desperate and it’s better than having the money devalue in the bank. Locals are also buying property for this very same reason. We are also doing a lot of basic factoring now for our clients who can still pay outside the country which allows them to get a lot more out of their contracts e.g for the same price in dollars we pay the rent locally but can include whatever services they need, usually TV/internet, maid, furnishing…etc. There is still not a surplus of new apartments in the city centre for now, but this is because there are 5-7 new buildings not on the market yet. Once these come online there will definitely be a surplus of apartments in new buildings in the city which should bring the prices down, however, given current trends their are likely to spark more consolidation with companies taking the advantage of putting their staff in new buildings to save the inherent maintenance and security costs associated with older buildings. In fact they are only empty because the owners have taken loans to build them and are angling to sell/rent them in their entirety to one entity, which until last year was a great and viable business model. Talatona also has a reasonable amount of properties available right now and prices have come down considerably but it is still not the ghost town people expect as many have taken advantage of this dip to move in there from further out and some companies to consolidate their operations and staff dispersement around Talatona instead of the city or further out. Prices have come down about 20%. Kwanza has devalued 16% since 1 January and is set to devalue more. If you can pay in USD outside then prices have actually come down somewhere in the region of 40+%. Landlords are now accepting 2-6 months payment frequency. https://www.relocationafrica.com/wp-content/uploads/2018/02/1234-1-300x97.png 0 0 René Stegmann https://www.relocationafrica.com/wp-content/uploads/2018/02/1234-1-300x97.png René Stegmann2016-01-25 10:31:382016-01-26 13:24:36Insight into the Angola Rental Market – January 2016.